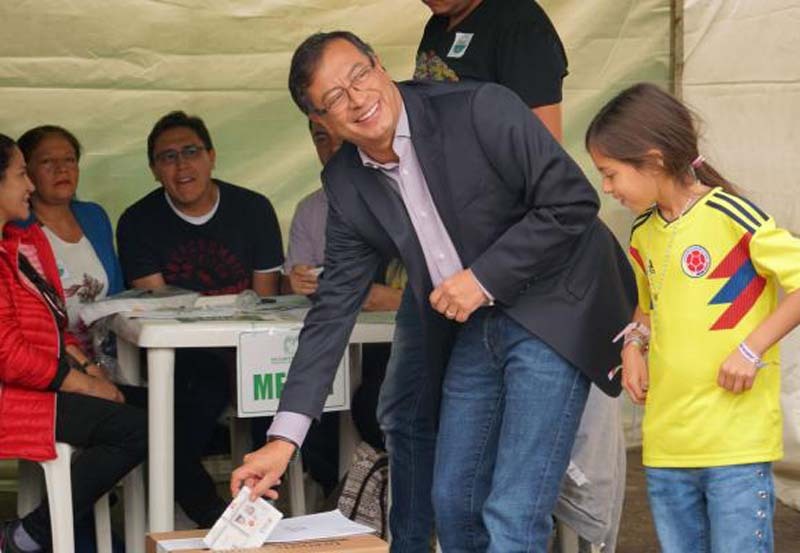 Colombian presidential candidate Gustavo Petro said there is evidence of voter fraud after the country went to the polls this week. Petro, a socialist candidate, came in second in the recent vote with 25 percent and will face conservative candidate Ivan Duque, who came in first with 39 percent, in a runoff next month. But Petro's campaign says the numbers don't add up after they found dozens of ballots that appear to have been altered to hurt Petro and favor of Duque. Colombia Senator Gustavo Bolivar, a Petro supporter, posted photos of allegedly altered voter tally forms on Twitter. "In a more civilized country, [the voter registrar] would have been fired for this flagrant election fraud," Bolivar said in one tweet. Colombia's National Registry acknowledged that there had been changes to the voter tally forms but blamed it on "errors." During Petro's campaign, he has railed against voter fraud and warned his supporters that Colombia's voting system has worsened under outgoing President Juan Manuel Santos and could be used against him.